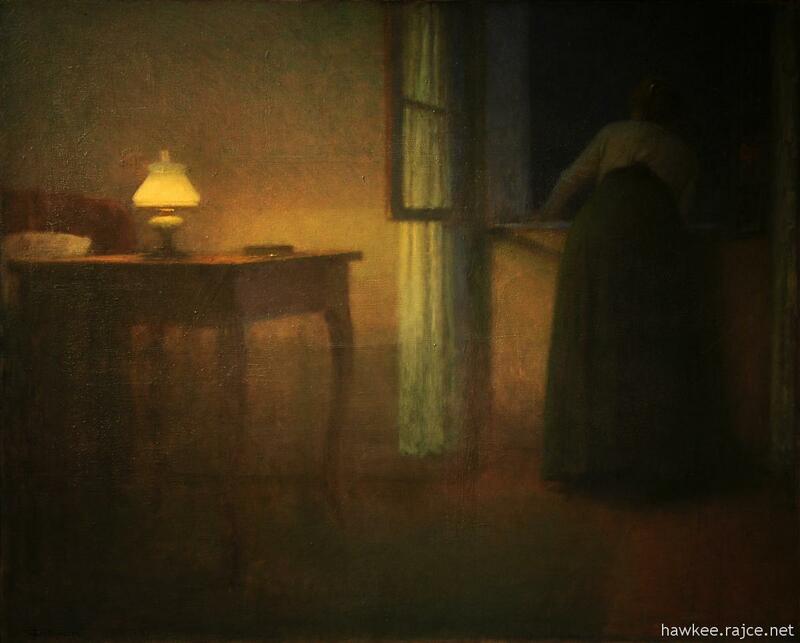 Jakub Schikaneder (February 27, 1855, Prague – November 15, 1924, Prague) was a Czech painter.Schikaneder came from the family of a German customs office clerk. 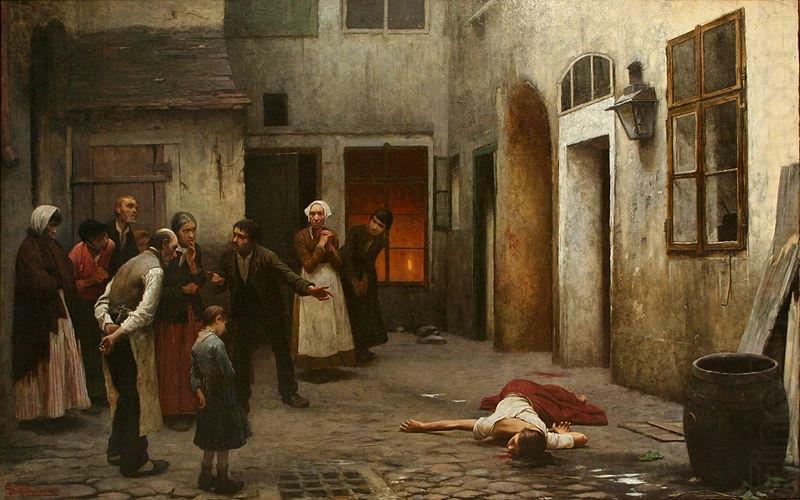 Despite the family’s poor background, he was able to pursue his studies, thanks in part to his family’s love of art; an ancestor was Urban Schikaneder, the elder brother of the librettist Emanuel Schikaneder. 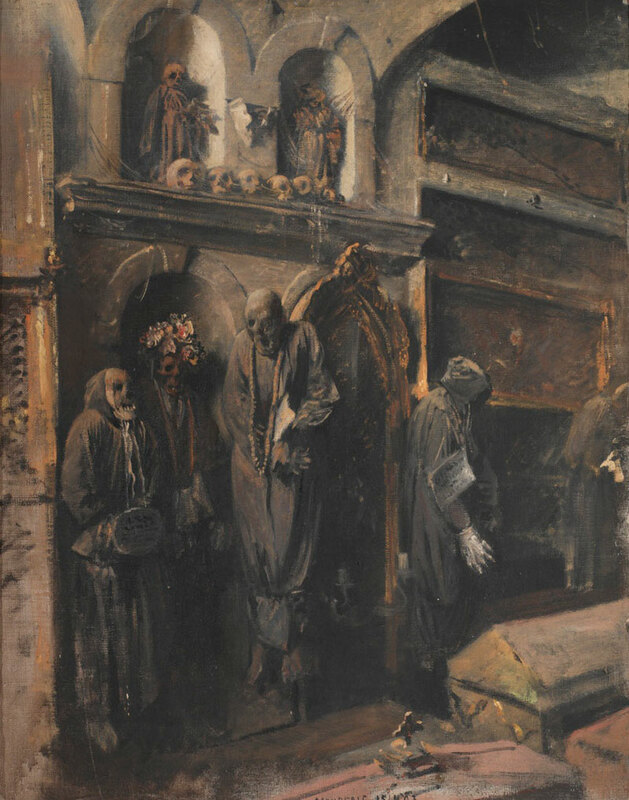 After having completed his studies in Prague and Munich (1871–1879), Schikaneder, alongside Emanuel Krescenc Liška, was involved in the furnishing of the royal box in the National Theatre in Prague; however, this work was lost in a fire in 1881. 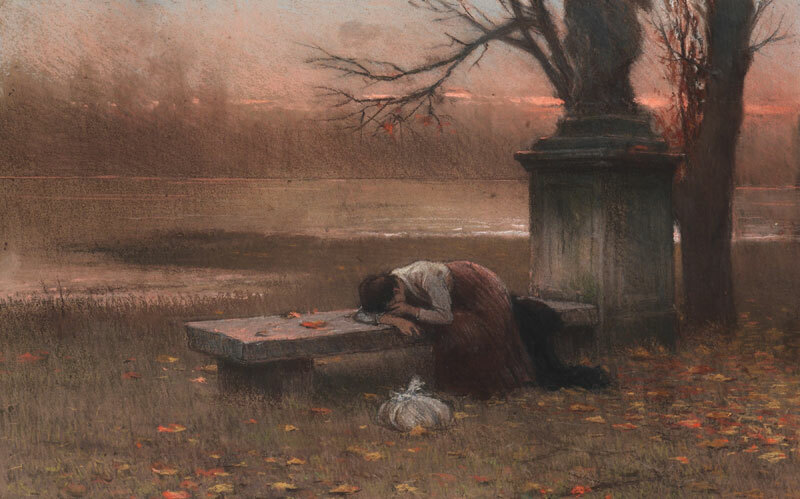 After his work in the National Theatre, Schikaneder travelled through Europe, visiting Germany, England, Scotland, The Netherlands, Switzerland, Italy and France. 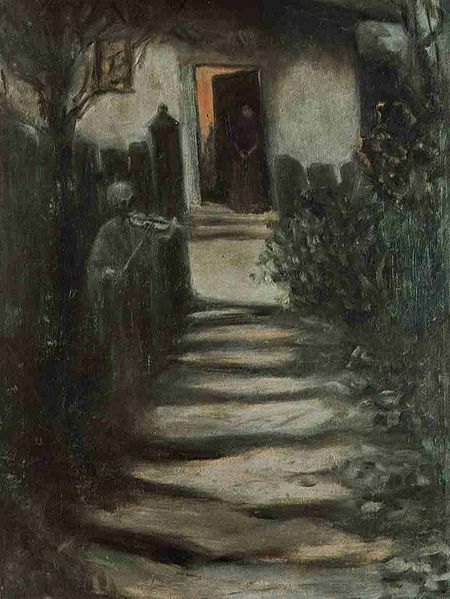 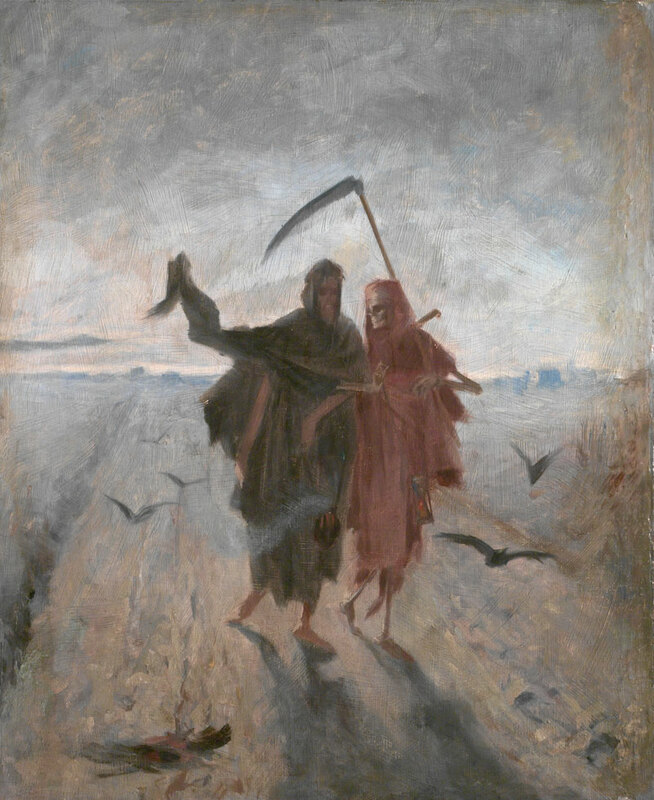 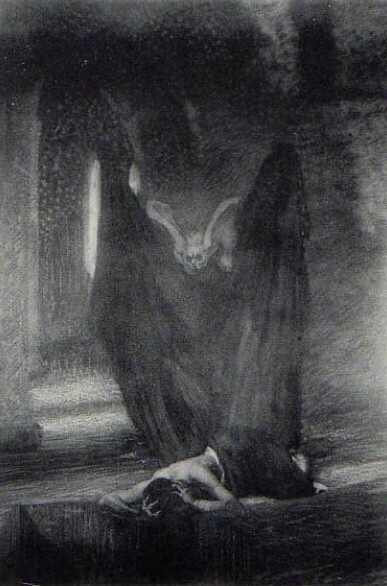 From 1891 until 1923 he taught in Prague’s Art College. 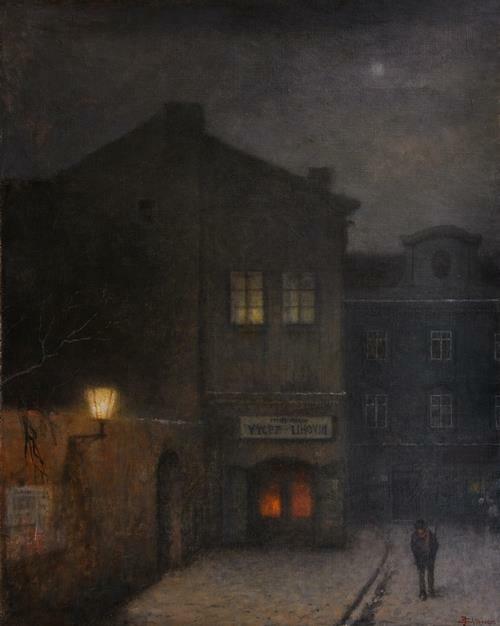 Schikaneder counted amongst those who admired the Munich School of the end of the 19th century. 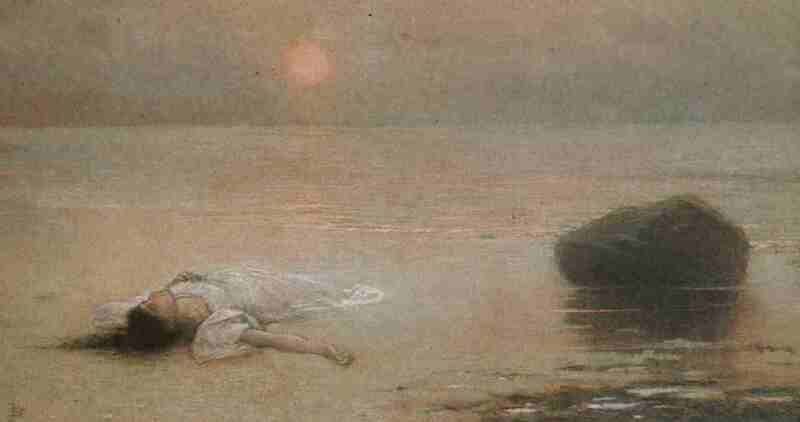 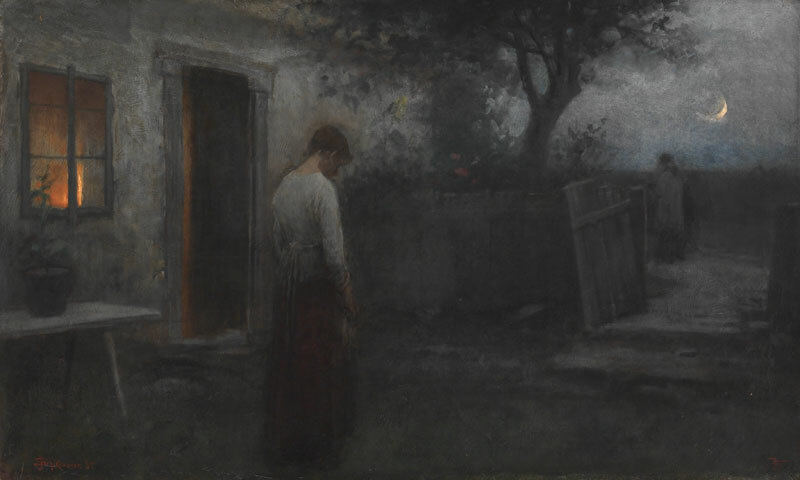 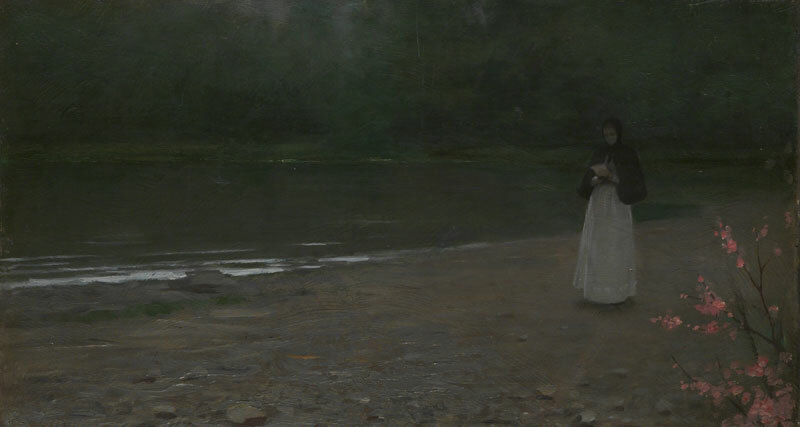 Schikaneder is known for his soft paintings of the outdoors, often lonely in mood. 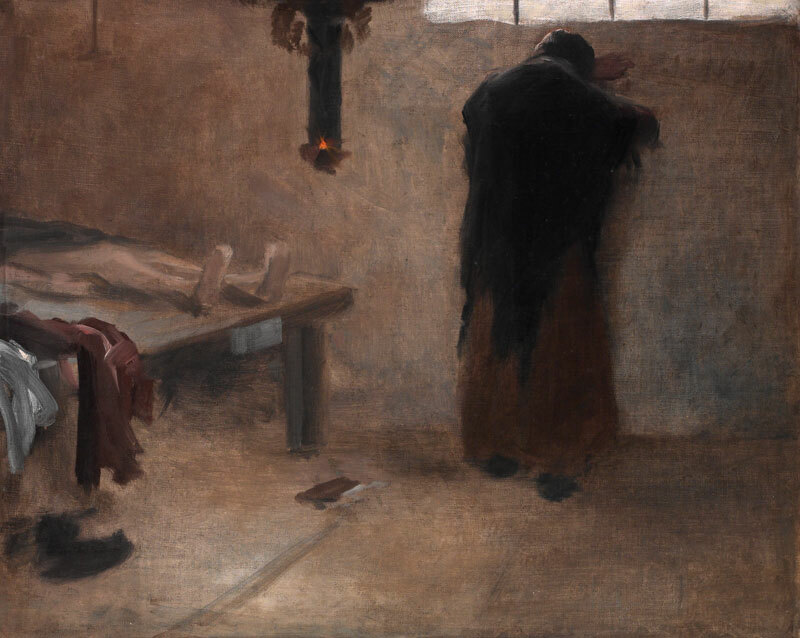 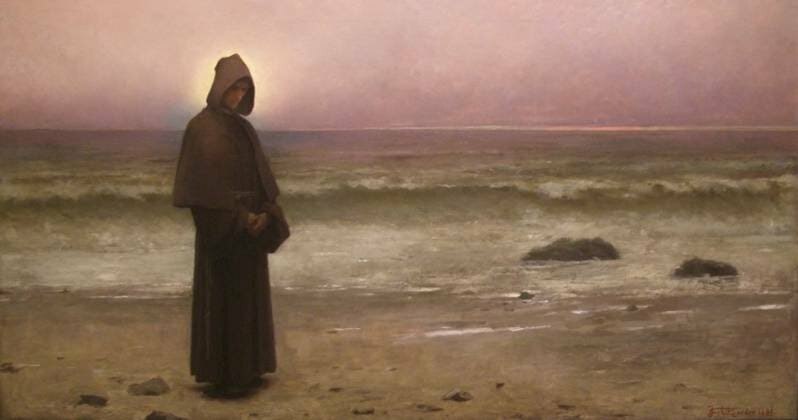 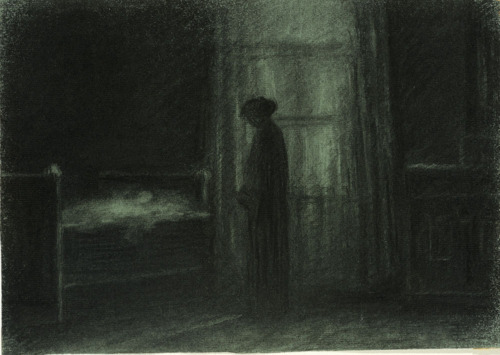 His paintings often feature poor and outcast figures. 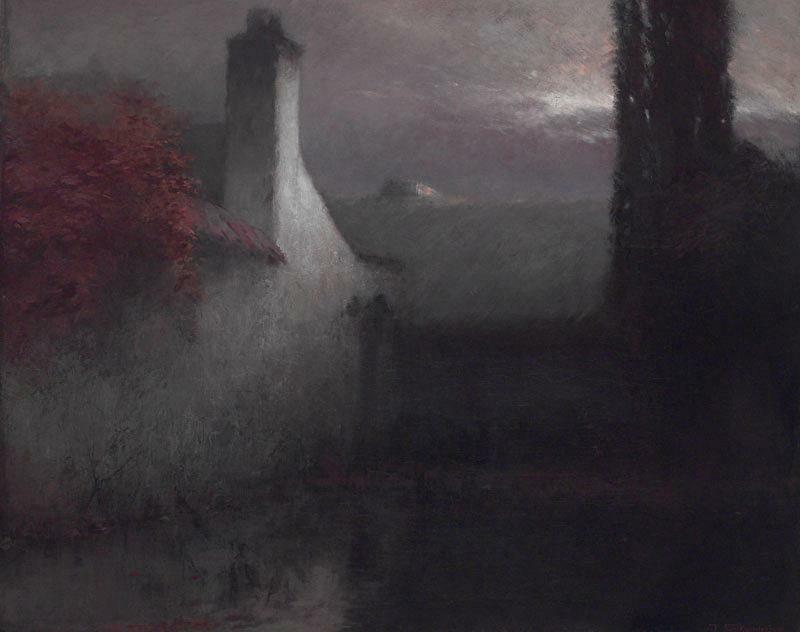 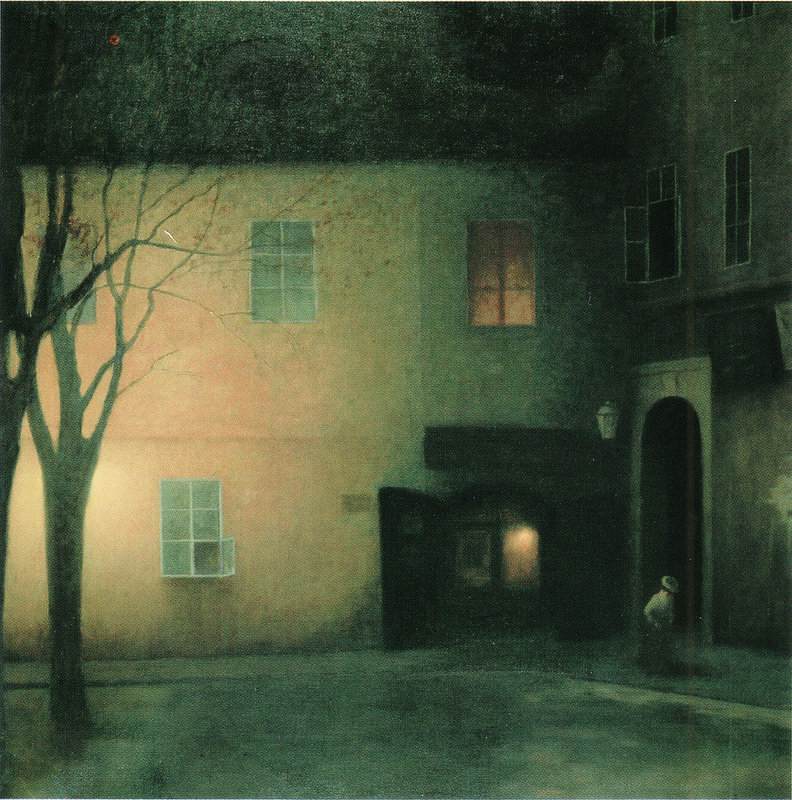 Other motifs favoured by Schikaneder were autumn and winter, corners and alleyways in the city of Prague and the banks of the Vltava – often in the early evening light, or cloaked in mist.